Cardiovascular disease remains the leading cause of death in women in the United States and claims the lives of approximately 500,000 women annually (1). In addition, despite an overall reduction in the death rate due to cardiovascular disease in this country, the rate of decline is less for women than for men, and, due to an aging population, the absolute number of deaths due to cardiovascular disease has actually increased in women (2). During the past several years, with the focus on women’s health in general and heart disease in women in particular, there is an increased awareness of the problem. 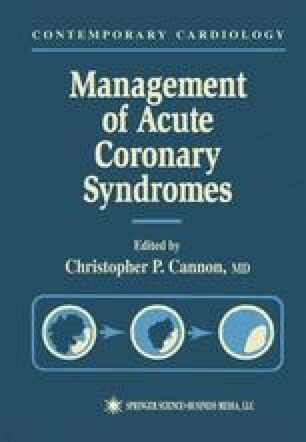 Thus the management of women with coronary heart disease has come under close scrutiny, and gender differences in the presentation, evaluation, access to care, management, and acute and long-term outcome of patients with acute coronary syndromes has been under active investigation.